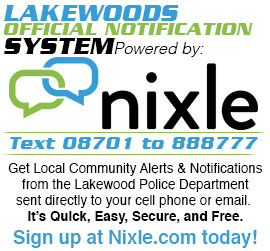 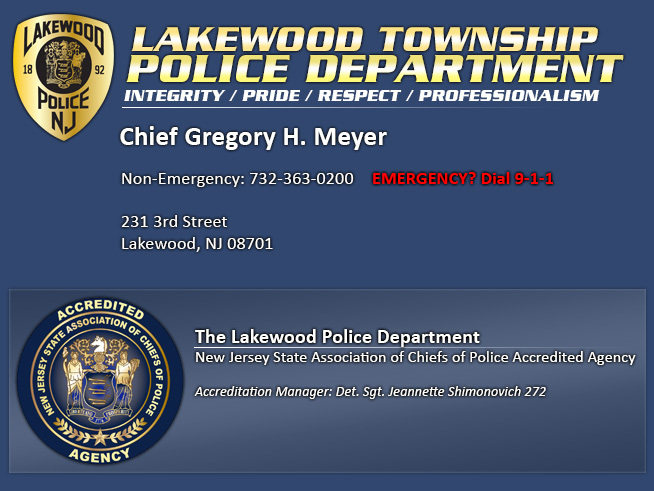 The Lakewood Police Department presents National Night Out Against Crime to be held Tuesday August 7th, 2018 at Lakewood Pine Park from 4pm – 9pm. 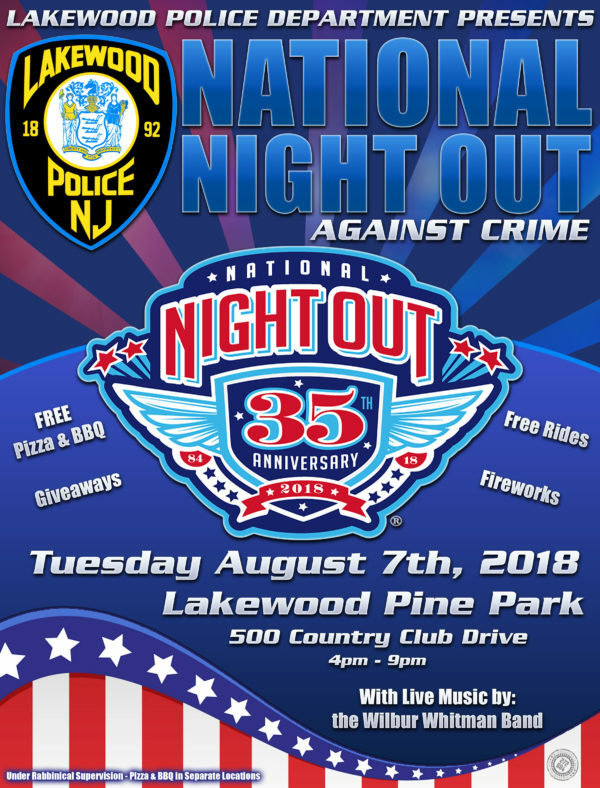 The annual event will feature free pizza, BBQ, ices, refreshments, giveaways, rides for the kids, and much more! The event will close with LIVE MUSIC by the Wilbur Whitman Band and Fireworks!